Home » Evidence » The significant role of expert evidence. The significant role of expert evidence. When presenting a claim at trial dealing with future loss it is vital to have appropriate expert evidence to justify sought damages. Failure to do so can result in a dismissal of the sought damages even if they are unopposed. Reasons for judgement released May 6, 2011 highlight the importance of medico-legal evidence in personal injury trials. 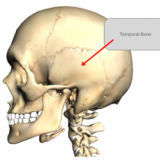 In Moore v. Briggs the plaintiff suffered a fractured skull (fractured left temporal bone) and a brain injury in a 2003 assault. The plaintiff sued those he claimed were responsible for the assault. One of the defendant’s did not respond to the lawsuit and the plaintiff obtained default judgement against him. The plaintiff asked the Court to award substantial damages including an award for diminished earning capacity. Despite the plaintiff’s assessment of damages being unopposed the plaintiff was only awarded a fraction of his claimed damages and he received nothing for future loss.